Football is back! Which means, every weekend until January I’ll be huddled over my laptop into the wee hours of the morning watching the Ducks on Saturday nights Sunday mornings and the Packers on Sunday nights Monday mornings. My sleep schedule will be wrecked once again, but it will be worth being overly invested in something happening half a world away that has pretty much no bearing on my immediate life. Because, plain and simple, football brings me joy. It’s one of the things that keeps me upbeat and even inspired during my service. I enjoyed watching Oregon pummel poor South Dakota about as much as I enjoy watching the Oscars: it’s fun for the first part because they show the important people and you get to see what everyone’s wearing, but it gets boring after a while because they start showing people you don’t know. And then you tune in at the very end to see who wins. The Ducks this year look about the same as they always have in recent years: elite offense, shabby defense, and TOO MANY PENALTIES. Clean it up, guys! This pretty much sums up every American football penalty. Blocking below the waist: That’s what she said. I always thought those laminated play-calling sheets coaches use look like kids’ menus. 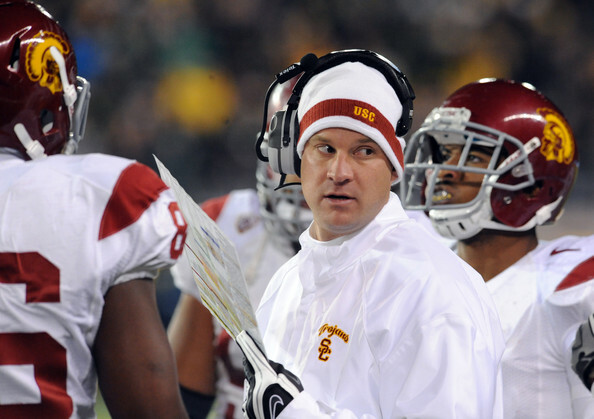 Also, I miss making fun of Lane Kiffin. Delay of game: This is quite possibly the lamest penalty. It is literally a penalty for doing nothing. If you are a non-hurry-up offense, there is already too much time between plays, and ain’t nobody got time for you to have a Kumbaya pow-wow with the team and read off of your kid’s menu to call the next play. What is this, baseball? Encroachment: When left to my imagination, I just imagine a bunch of defensive players gradually sliding closer and closer to the quarterback while making uncomfortably long eye contact just like a creepy guy on the bus. Equipment violation: Without context, this sounds like a sexual assault allegation. Within context–forgetting or improperly wearing a piece of equipment/uniform–it’s actually a very boring penalty that sounds like what I did every morning before school until I reached the third grade. Horse-collar tackle: However, it’s perfectly okay to cow-collar or donkey-collar tackle a player. Illegal contact: Similar to encroachment, I’m pretty sure this is what it’s called when a random Albanian grandma decides to display her affection for me by vigorously rubbing my chest in front of everyone in town. Illegal hands to the face: This is what it’s called when a random Albanian grandma pinches my cheeks really hard. Ineligible receiver: Sorry, he has a girlfriend. But don’t worry, there are plenty of other fish in the sea. Leaping: Apparently, during some game at some point in history a player leaped too high or too enthusiastically into the air, and it was a big enough deal that they had to crack down on the practice of leaping. 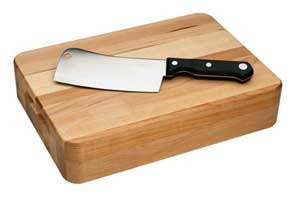 If you were to say the words “chop block” to me outside of the context of football, I’d think of this. Palpably unfair act: I’ve never actually been watching a game when this penalty was called, and its usage is pretty ambiguous, but I love the word choice. Palpably unfair, like it’s so offensive you can literally feel it. If I was a ref, I would call this penalty any time USC scored a point. Spearing: Sorry, but you can’t throw a spear at another player. I know, it’s prudish and disappointing, but life is palpably unfair. Chop block: What is a chop block? No one knows. This is where I put on my Literal Hat with regards to “Leaping”: they call it that when you use a fellow player to propel yourself higher into the air, whether they throw you or you jump off of them so as to get a greater vertical.